Simon Cowell is doing what he can to help close a dog meat farm in South Korea. The America's Got Talent judge, 58, has agreed to donate £25,000 (roughly $32,640) to Humane Society International (HSI), a charity that addresses animal issues worldwide. HSI tweeted about Cowell's donation on Friday. They say his money will save over 200 dogs and puppies from a South Korean dog farm that breeds the animals for human consumption. The charity plans to go there next week to pick up the canines, after which they will send the dogs to various countries including the United States, Canada, the United Kingdom, and the Netherlands for recovery and adoption. Their tweet came with a photo of a mother dog and her litter of puppies, all trapped in one of the farm's cages. According to HSI, the animals spend their entire lives in barren metal cages before they are brought out for slaughter. They are usually killed by means of electrocution or hanging. "Simon's generous donation means the world to us, and provides a huge boost to our appeal to close this horrendous dog meat farm," HSI UK Executive Director Claire Bass said in a statement. "More than 200 dogs are languishing in the most appalling conditions, but we have a real chance to save them. … These poor dogs have had the worst lives so far, so we're desperate to get them out of those dreadful cages and show them love, soft beds and loving arms for the first time in their lives." Though the popularity of dog meat consumption is on the decline in South Korea, the organization still says that "thousands of dog factory farms still exist," with 2.5 million dogs a year bred for human consumption across the countries 17,000 dog meat farms. In HSI's history, they've closed a total of 12 dog meat farms and saved nearly 1,400 dogs. Closing these farms doesn't just involve saving the animals. The charity - one of 83 animal charities working to fight this problem - also helps dog meat farmers wanting to leave the industry transition to more humane businesses, like chili or mushroom farming. Their hope is that the Korean government will follow their lead and adopt similar phase-out plans to end the industry nationwide. "With every dog farm we close and every farmer we help switch to a more profitable, humane business, we're showing the South Korean government that it's possible to end this cruel trade," Bass said. Cowell has long been a supporter of HSI's cause. In 2017, he spoke out in support of their #EndDogMeat campaign, telling Good Morning Britain that eating a dog would be like "eating your friend." "It's the fact you're eating such a kind, helpless, sweet animal," he said according to HSI, adding that he was pledging to bring more dogs to safety and was moved by the cause. 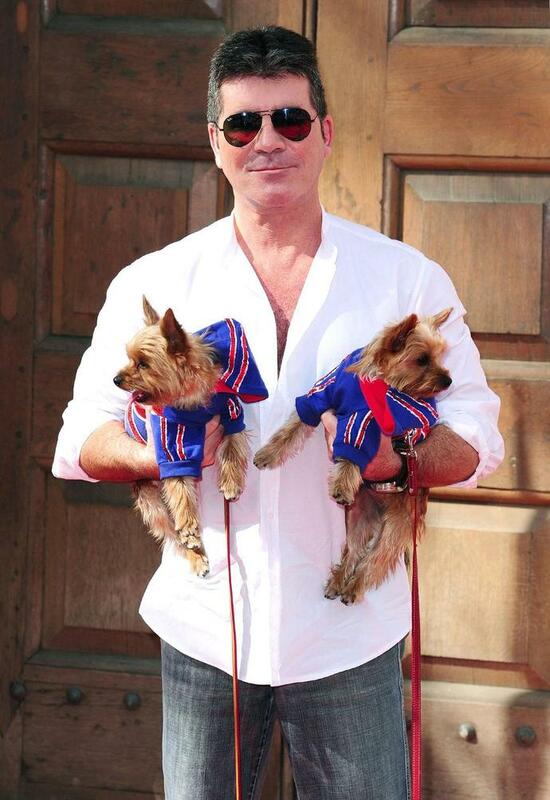 The former American Idol judge is also a pet owner himself, to Yorkshire terriers. He and his pups appeared together on an episode of Britain's Got Talent in 2017, where he attempted to do doga (dog yoga) with the pooches. Meanwhile, Cowell isn't the only celebrity who has lent his name to the cause of stopping dog farms in South Korea. The Real Housewives of Beverly Hills star Lisa Vanderpump and CNN anchor Randi Kaye have also been outspoken about the issue. KT Corporation, South Korea's largest telecom firm, has launched its blockchain-powered fifth-generation (5G) network brand, local news agency The Korea Times reports on April 16. Called "GiGA Chain," the brand intends to boost the security of Internet-of-Things (IoT) devices and to protect them from cyberattacks, the report says. As a part of the new brand, KT developed GiGA Stealth technology that prevents hacking attacks by hiding the IP addresses of the connected devices.